Ghur is the Hindi word for house and this was one of two such named built in this part of the road, suggesting an early link between Cheltenham and India. This property is one of the oldest in this part of Bath Road and it was advertised to be let, fully furnished, in 1827. For most of the twentieth century this remained a private dwelling, without a shop front. At the start of the century it was occupied by Mr William Moorman, a photographer. Mr Moorman took part in local activities including the Leckhampton Working Men’s Rifle Club, of which he was a prominent member. He had left Mosquito Ghur by 1906 and for the next half dozen years it was the home of Mr A.G. Ursell. By 1915 the property had been taken over by Mr Albert Burrows who was an insurance agent. Some people may remember this as a private house with its brown paintwork and with a verandah surrounding it. Around the early sixties a shop was built in front to bring it in line with the other buildings. This new shop wasn’t really a shop at all. 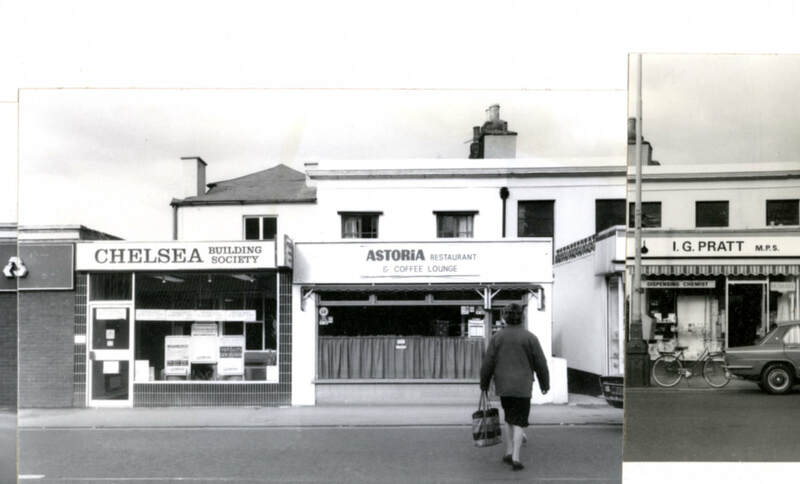 For the remainder of the century it was several cafés or restaurants amongst them Kate’s Parlour, County Caterers, the Edelweiss Café, the Suffolk Restaurant and the Astoria. 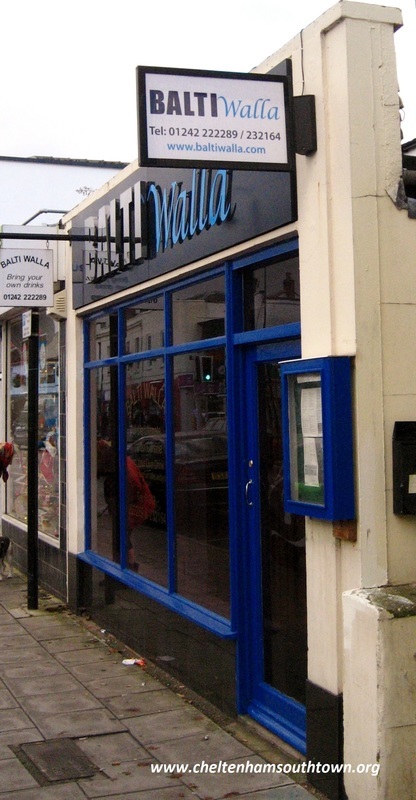 Since the end of the 20th century it once again has Indian words in its name, as it is currently the home of an Indian restaurant called Balti Walla.